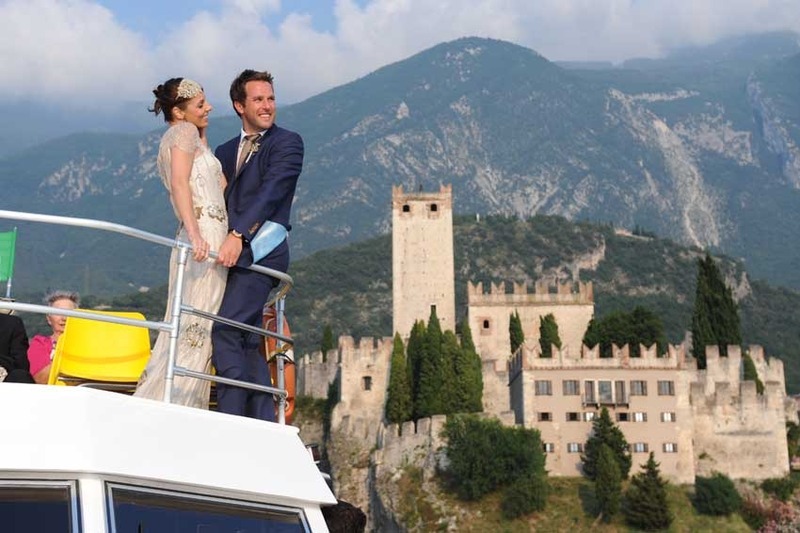 Plan your destination wedding in Malcesine, a delightful village located in the eastern shores of Lake Garda. Fragrant groves of lemons and olives surround the town whose landmark is the magnificent 13th century Castello Scaligero which rises above the water from a sheer rock. 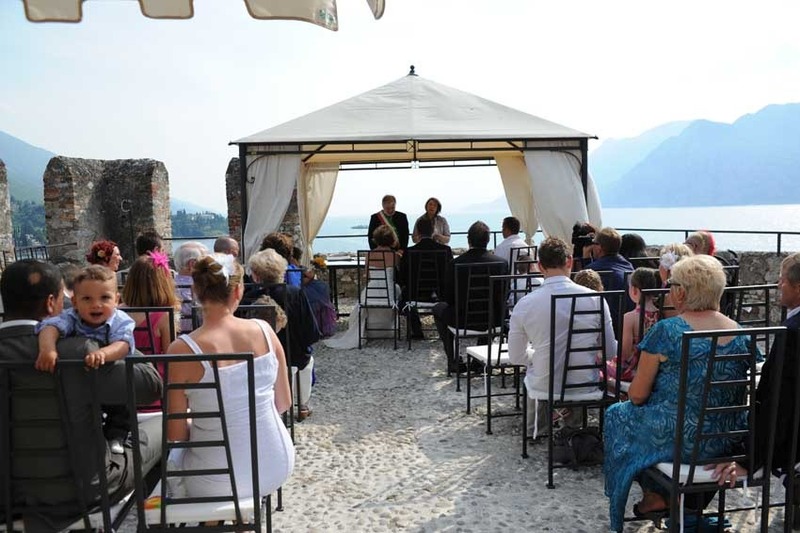 Civil wedding ceremonies in Malcesine are celebrated in one of the most picturesque castles of Italy. This wonderful medieval castle was supposedly built by the Lombards. In 590 it was destroyed and rebuilt after the Hungarian invasions. In the 13th century it belonged to different Italian noble families and from the 15th to the 18th century it became part of the Venetian Republic. 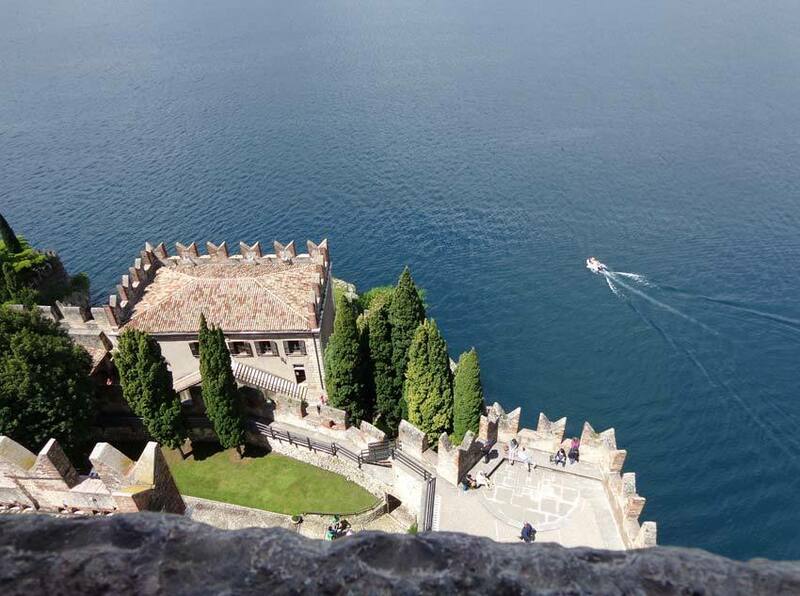 It was declared a national monument in 1902 and today it houses a small museum dedicated to Lake Garda. Civil ceremonies at the Castle Scaliger are performed outdoors or indoors. Everything here is perfect, like a fairytale! The castle is located on top of a hill and views of the lake are just incredible! 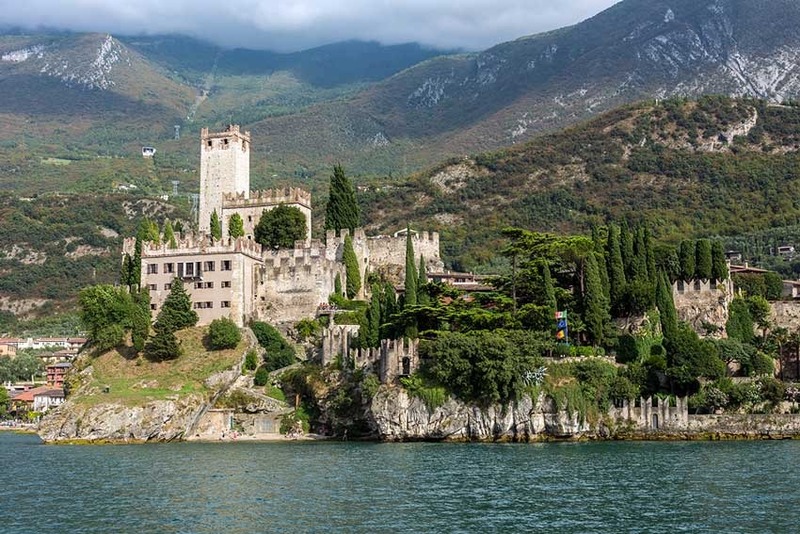 Enchanting Italian Garden and panoramic towers ideal for a romantic photo session in Malcesine. In case of bad weather the ceremony is performed in an indoor hall that can hold up to 60 people. Weddings are celebrated every day. This is a very popular destination for the enchanting setting, it is recommended to book it in advance. 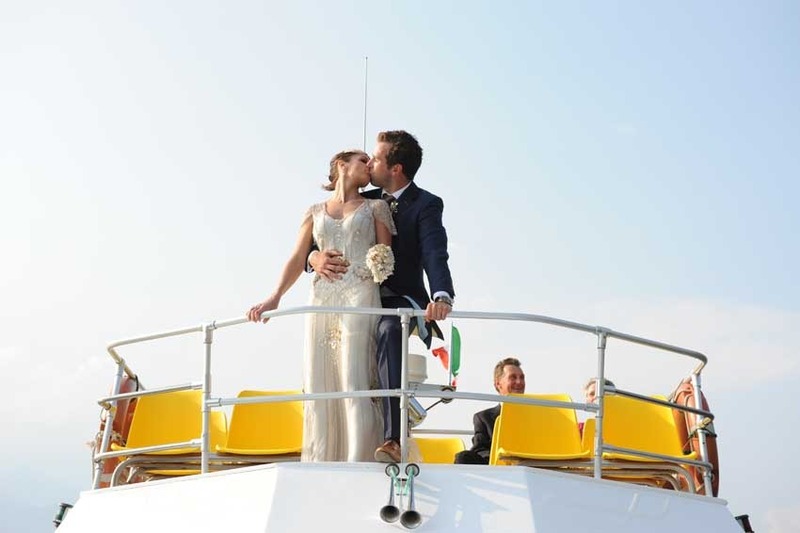 We recommend a wedding in Malcesine from April until October.